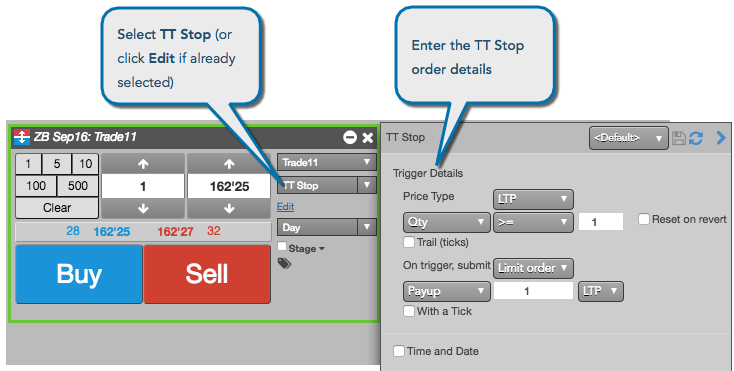 Select TT Stop for the order type. Enter the desired Trigger Details parameters. If you want to set start and end times for the TT order, set the desired parameters. Specify the TIF for the exchange-native child orders submitted by the TT Stop order.